Winston Churchill famously described the Soviet Union as “A riddle, wrapped in a mystery, inside an enigma.” Many commentators and politicians say Vladimir Putin’s Russia is every bit as mysterious and enigmatic as its predecessor. An astonishing recent declaration by the president, however, at the Russian equivalent of the Davos conclave, in St Petersburg, casts a whole new light on the country’s involvement in the Middle East, which in recent years has become more and more extensive. Putin said two completely unexpected things: first, that Iran should evacuate its forces from Syria and stop interfering with events in the northern Arab arc (Iraq, Syria, Lebanon). Second, and equally startling, he said that Israel has a right to defend its borders, whether in the north or in the south (Hezbollah and Hamas territories respectively). All this within a few days of a meeting with Israeli Prime Minister Benjamin Netanyahu, who can now claim yet another foreign policy success. Assuming Putin means what he says, and there is no a priori reason to doubt him, what does this portend in terms of Russian policy and the positions of Iran and the US in the region? I think the answer is, in fact, fairly simple: Putin is interested in one overriding objective in the Middle East, and that is developing and protecting his naval and air bases on the Syrian coast. Anything that puts that deployment in jeopardy he will oppose. Iran’s rampaging around the area is unhelpful and the Assad regime in Damascus is no longer in danger of imminent collapse. 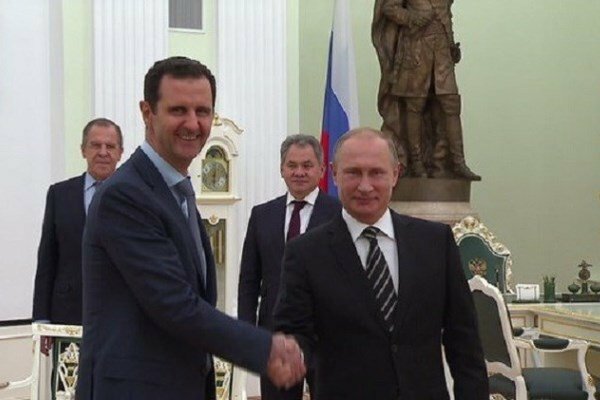 The Assad regime owes its survival to Russia and knows it. It also knows that under the present circumstances, Russia can deploy its naval and air assets without hindrance from anyone. 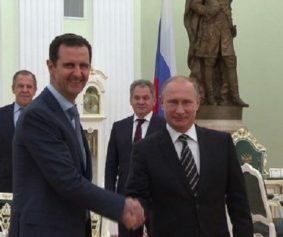 As far as Russia is concerned, Iran has performed its function in Syria of assisting in the survival of the Assad regime and its continued presence is unhelpful. Therefore, the Iranians should go. Israel is by all odds the most powerful country in the region militarily, and contrary to common belief, Putin is no antisemite. Indeed, quite the contrary. He and Netanyahu have forged a modus vivendi that is approaching the status of an alliance. That is not a problem for the Trump administration, the attitude of which towards Russia is ambivalent at best and towards Israel that of a valued ally, while Iran is more and more in the administration’s line of fire. Along with all this, Assad is not just an indifferent observer. He is as well-informed as anyone and thus is well-aware that Putin is in no danger in Moscow and Israel is not going t0 become less militarily dominant any time in the near future, if ever. Iran, on the other hand, is obviously trying to turn Iraq, Syria, and Lebanon into semi-sovereign satellite countries, which he is not interested in. On the other hand, he cannot challenge Iranian interests directly and thus will be very happy for Russia to play the role of spoiler to Iranian strategic plans. presence on the Israeli-Syrian border in the Golan Heights; all of which is very good news to Israel and to the US. Russia has for all practical purposes become a tactical regional ally of both countries. As for Iran, it may well be that the ayatollahs and their acolytes will not react very strongly to Czar Vladimir’s new ukase. Between large ethnic minorities that despise them and secular Persians who hate them, relatively low natural gas and oil prices, and a disastrous ongoing drought, coupled with anti-regime demonstrations taking place almost daily throughout the country, the mullahs might well welcome an excuse to declare victory and evacuate Syria in order to concentrate the forces of repression in their home country. After all, survival is priority number one for the theocracy that misgoverns Iran. The southern Sunni powers, Egypt, Saudi Arabia, and the Gulf states (with the usual exception of Qatar) will welcome Putin’s initiatives with open arms. They have long decided that Israel is an important – if unacknowledged – ally and Iran their principal concern. The other significant regional player, Turkey is in no position to oppose Russian plans, and as the domestic economic and political situations continue to deteriorate, it will have to imitate Iran in paying more attention to the domestic front and less to adventures abroad.